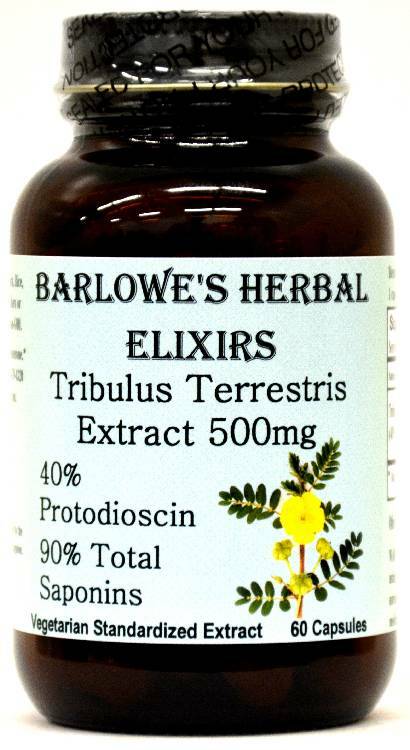 Barlowe's Herbal Elixirs brings you the highest quality and most potent Tribulus Terrestris Extract available which has been specifically designed to increase testosterone. 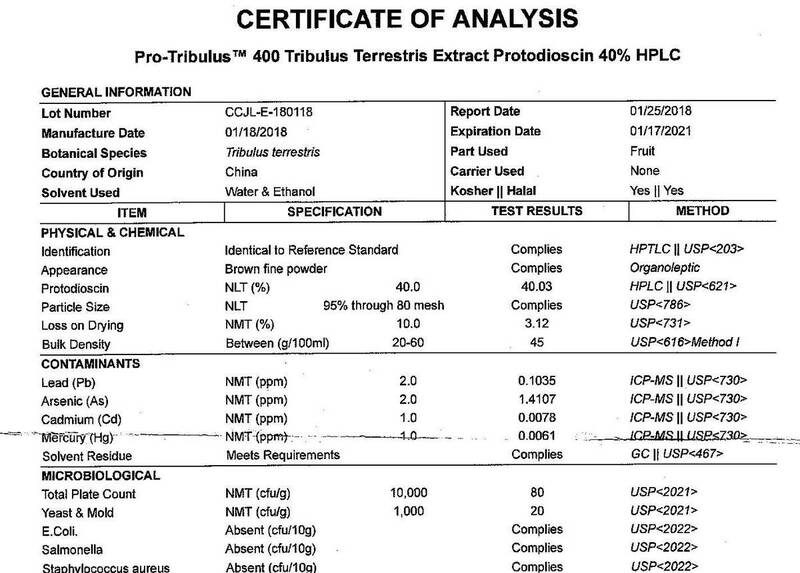 This is a powerful extract which has been standardized to 40% Protodioscin and 90% total Furostanol Saponins. Bottled in Glass! No Stearates! No Fillers! No Junk! 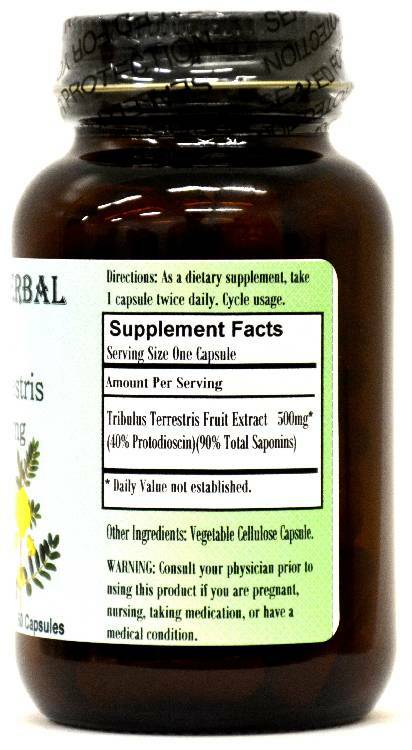 Barlowe's Herbal Elixirs brings you the highest quality and most potent Tribulus Terrestris Extract available which has been specifically designed to increase testosterone. This is a powerful extract which has been standardized to 40% Protodioscin and 90% total Furostanol Saponins. The Tribulus Certificate of Analysis (COA) for this particular batch is shown above. It is the Steroidal Saponins (especially Protodioscin) in Tribulus that cause the increase in testosterone. High Protodioscin Standardized Tribulus can help you build muscle and increase libido. Bottled in Glass! No Stearates! No Fillers! No Junk! Caution: This superb, targeted herbal extract is generally safe, but it is potent and should be utilized with care. This product is for dietary use. If side-effects occur, discontinue use immediately! The above statements have not been evaluated by the Food and Drug Administration (FDA). This product is not intended to diagnose, treat, cure, or prevent any disease. Directions For Use: Take one capsule twice a day without food. Cycle usage - either two weeks on, one week off, five days on, two days off, or something similar. Results and usage amounts may vary based on body type and weight.